Heavy rain that began late morning continued to pour through the Women’s and Men’s Elite races and didn’t let up until the racing was almost over. Nonetheless, the thousands who flocked to “Tokyo Beach” in the bay-side heart of the city for this fourth annual event, refused to let it dampen their enthusiasm. 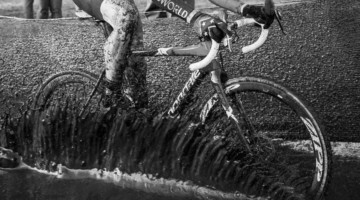 The rain this year made the long sand sections the fastest they’ve ever been, but the course’s sharp switchbacks in deep sand still forced everyone off their bikes. 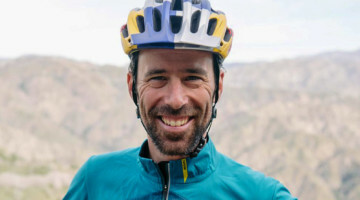 Another U.S. based rider there on the starting line was Tim Allen (FEEDBACK SPORTS), the 2014 USA Cycling Singlespeed National Champion who was competing in Tokyo for the first time starting 20th behind the very best riders that Japan has to offer. Namely, current and past Japanese national champion Yu Takenouchi (Veranclassic Doltcini) who always makes the podium at Cyclocross Tokyo regardless of who challenges him from overseas. 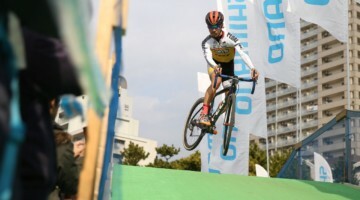 As well as his top rival of recent years, Kazuhiro “Kazu” Yamamoto (Japanese anime “Yowamushi Cyclocross team”), who was able to best Takenouchi at worlds the week before but had never beat him on this course or at the national championships. Despite Berden’s reservations before the start, when the gun sounded, he took the holeshot from McDonald and Takenouchi. 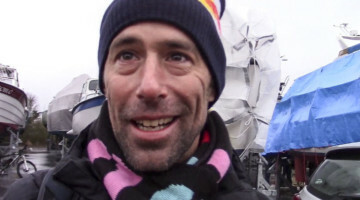 Meanwhile Johnson got pinned in at seventh place surrounded by Japan’s top pros with Allen starting farther back in the field forced to move up one at a time over the one hour race. McDonald was able to squeeze past Berden in the woods towards the end of the first lap just before the last sand section that this course is so famous for. Takenouchi in third, looked determined as he is every year not to let the lead in Tokyo go unchallenged by a Japanese and was chasing hard. 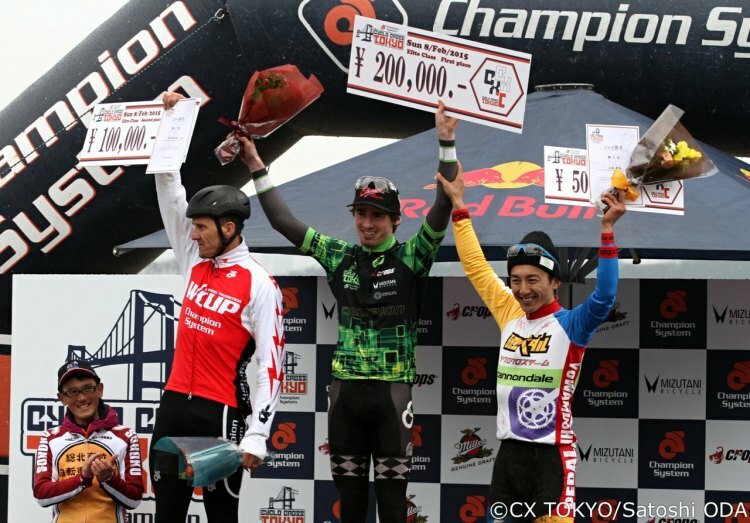 By the third lap however, Takenouchi dropped off the pace and fell back as far as sixth at one point while McDonald was wizzing through the muddy sections putting as much distance as he could between himself and Berden in second. Takenouchi’s weakness allowed his rival Yamamoto to move into third place, 45 seconds behind Berden, who was still less than half a minute behind McDonald. McDonald put more time into Berden every lap and was never contested for the lead after the first lap. 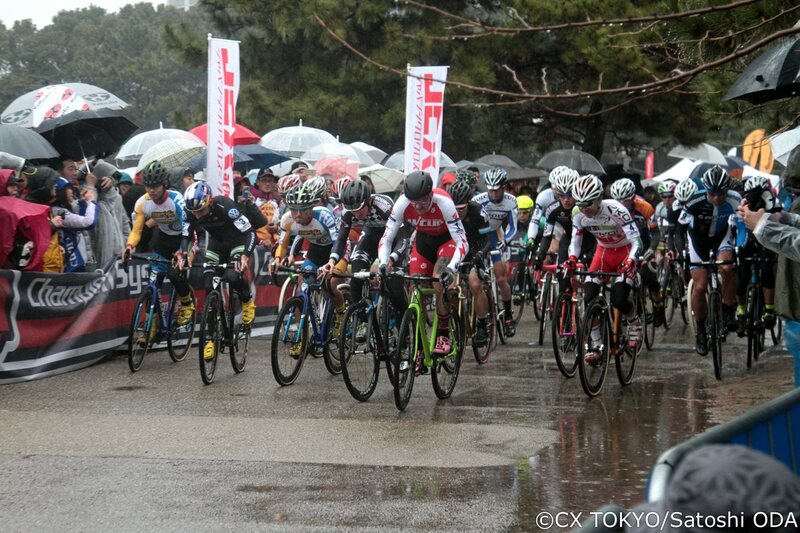 The giant Tokyo crowd freezing in the rain still never dared to take their eyes off the race. The battle for third got really hot when Takenouchi regained his form and went after Yamamoto with a vengeance. The top Japanese racers both had too much at stake in front of the home crowd. Champion Takenouchi, who lives and races in Europe, had always been the top Japanese here, but declaring that this would be the end of his professional career, Yamamoto had something to prove. 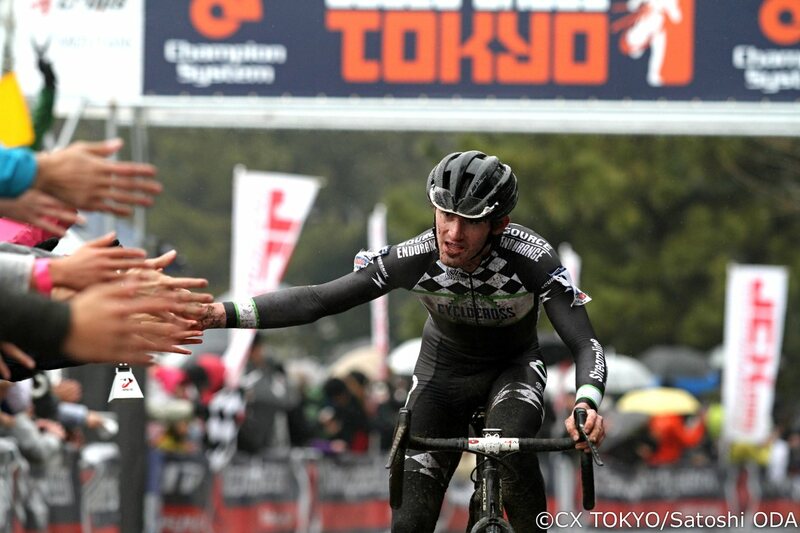 He had been Cannondale Japan’s ace rider for 12 years dominating podiums for elite XC mountain bike, Japan Pro Tour road racing and cyclocross. 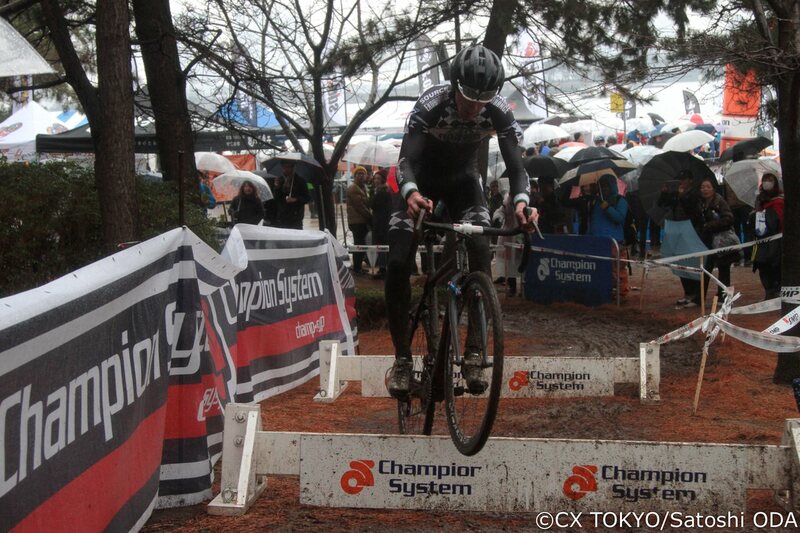 He wanted to go out as the best Japanese CX racer that day. These two normally mild-mannered Japanese racers, who always seem to have giant smiles across their faces, were bumping shoulder to shoulder, clipping each other’s tires and doing anything they could to be the one in front through each and every section. Takenouchi excelled in the muddy technical sections and sandy corners while Yamamoto would use his power to put a gap on his rival in every straight section. Their fight brought them closer to second place Berden with every lap. After 13 laps McDonald coasted into the finish, with high fives along the way, well ahead of Berden who was watching his back for the Japanese fighter pilots. They had closed within ten seconds by the last lap. Finally, Yamamoto’s determination allowed him to break free of Takenouchi, blaze through the final sand section and on to the finish line securing his spot as the top Japanese on the day. Stay tuned for the 2015 Tokyo Cyclocross women’s report. Men’s results below the video.